Quality - Intercargo Coldstores ApS tilbyder opbevaring af alle former for frosne fødevarer, samt en komplet logstikløsning. Hos Intercargo Coldstores ApS quality is not just a word. Quality is an indisputable competitive parameter, so we place great emphasis on providing our customers with a very high and specific quality of our services. In cooperation with our customers, which are always at the heart of the center, we prepare clearly defined quality requirements and goals that will always be honored. 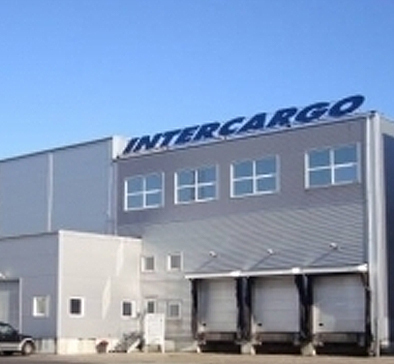 Intercargo Coldstores ApS thus has a special responsibility. We are the last company that handles our customers' products before being distributed to our customer's customer both nationally and internationally. Our employees feel like the guarantee and the last link in the chain, so the goods arrive at the recipient in the right condition, in the right amount and with the right marking. In addition, compliance with applicable legislation, veterinary regulations, etc. Intercargo Coldstores ApS has thus established an internal quality management system that includes all activities from receipt over storage to extradition. All our employees, who are very loyal and flexible, are trained to meet our quality standards. We are therefore in possession of one of the country's best know-how to solve both seasonal and sudden overload situations. At the same time, we take environmental considerations into consideration, and are actively committed to recycling and minimizing energy consumption. Download our own control as pdf here.